See below for details and accessories. 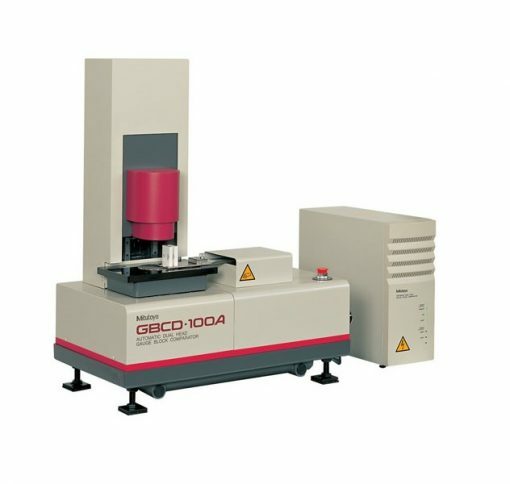 The GBCD-100A Automatic Gage Block Comparator is an easy-to-operate dualhead type gage block inspecting system. It automatically compares workpieces with a standard gage block and determines accuracies of such as central length, maximum length, minimum length, and parallelism through the operation of an optional personal computer. 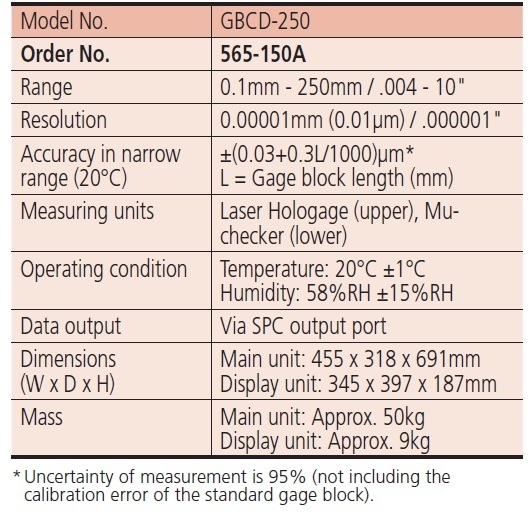 Gage blocks between 0.1mm and 250mm can be easily compared with the standard gage block on the GBCD-250. 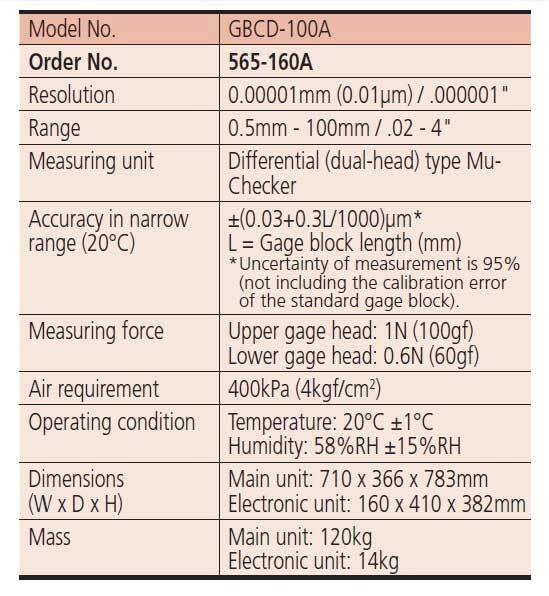 The differential dual gaging heads assure the operator of a high-accuracy measurement with ease of use.